Pacey Barron learned real estate from the finest example, and the best teacher - her mother and top-producing New York City broker, Vickey Barron. Being around the industry her entire life, it was only a matter of time before Pacey would join her as a member of The Vickey Barron Team. Complementing her own extensive knowledge of Manhattan, buildings and neighborhoods are the incredible resources, contacts, support and expertise at her disposal. Pacey is proud to be associated with the city's best brokerage team at NYC's #1 real estate firm. Pacey has transferred the leadership, discipline, and dedication acquired through years of competitive sports to navigate her clients through New York City real estate. "Most important to me are the needs of my customer and building a strong relationship based on trust. This connection and dedication always inspires me to find new ways to make results happen." 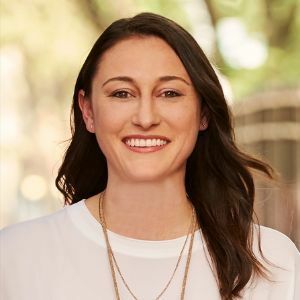 Prior to her career in real estate, Pacey worked in digital advertising, most recently at R/GA. Her technology and creative background lends to her efficiency and ingenuity in helping buyers secure their dream home, and sellers market their prized property. Born and raised in her early years in Southern California, Pacey relocated with her family to Manhattan where she attended Columbia Grammar and Preparatory school and later graduated from the University of Delaware.